Zephyr has developed a patented method of maintaining the rescue hoist and its cable as required by the hoist OEMs without having to fly the helicopter, in a safe and efficient manner. The Zephyr Rescue Hoist Ground Support Equipment (RHGSE) was introduced in 2005. 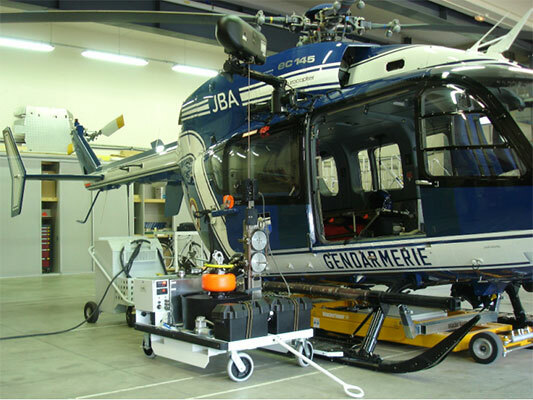 The RHGSE provides the capabilities of protecting, tensioning, cleaning, drying, and lubricating the rescue hoist cable as required by the hoist OEMs after each mission and/or at hoist and cable maintenance times, without having to fly the helicopter.